A variety of copy gives you more content to split test, which is how you improve current and future campaigns. More copy means that you are keeping your campaigns fresh, not letting anything go ‘stale’, even if it is the same product listed. What Does Great Copy Do? When creating a new ad campaign it is vitally important that you know who your audience is! However, this is one of the main reasons someone will start running some ads and start swearing that Facebook ads don’t work for them. Everytime you start a campaign you need to ask yourself some basic questions of who your audience is, once you start thinking about who your customers are you’ll start thinking about how to write copy to attract them. Here are some questions we get clients to answer soon as we take on a project….this is also where you need to start. 1. Who are the authority figures, thought leaders, or big brands in your niche? 2. What books/magazines/newspapers does your ideal customer read? 3. What events do they attend? 7. What’s specifically unique about this group? 8. What is the audience for your product in your opinion? 9. What is the age and gender of your audience? A great tool to help you narrow in our this is by using the Facebook audience insights tool. You can load in some of the interests that you suspect your audience have and break them down to identify more, and how all of these can, and should, impact your strategy. Then consider how they will interact with your product. How would it benefit them in their lives? What is the ‘pain point’ that your product is made to fix? What is the specific audience niche? Are there any alternatives that you should be considering? Keep in mind, different audiences respond to different things! This is all about narrowing down on why your audience should consider buying from you. The most successful marketing campaigns all try to connect with the user through human psychology. If you’re trying to persuade someone to sign up or buy from you, you need to work out what motivates them. Push on the buttons that will get them to act. What are the different problems that they may need solving? What is your product and how does it solve that problem? The emotional appeal will help you to establish a lasting relationship with your customers, this can be a powerful motivator for conversions. The emotion that you identify within your customer will shape the strategy you use, as well as the language and punctuation. I would encourage you to go beyond simple emotions like, “Happy” – “Sad” – “Confused” etc. Majority of marketers think Fear & Greed is what makes the best copy but they are wrong. Using this will only result in less than impressive results, good emotional appeal in your copy will draw in the customer, and have them click on your ads consistently. In this highly competitive market of e-commerce, everyone has lots of choices which makes it vital for you to determine your audience and what they are looking for in a unique good or service. A benefit is a personal satisfaction or advantage that a customer wants from a product. How will I benefit? and What’s in it for me? Your product may have a number of amazing features, but you need to hone in on the key points, having long text blocks of every feature will bore the Facebook audience. You need to identify the key features that will stand out and focus on these only. If the customer can see the value then you’ve done well. This should align with the emotional appeal and the chosen audience! Storytelling is a tool. A tool you use to connect your ideas, products, and service with your audience’s imagination. You create a scenario! You set the scene! Without a compelling story drawing attention to it, even the most powerful and valuable idea can, and will, be ignored. Facts and ideas without a story element activate the “language processing” areas of our brains. This has little to no effect on our emotions, which in turn has little effect on our decision making. We need feeling to connect with ideas. We need emotions to make decisions. Our brains react the same way when hearing a story and imagining ourselves as the character, you can use a story to break through the noise of your competition and leave a real impression on your audience, instead of pushing facts and expecting them to understand, you can instead create an experience and let them discover the facts for themselves. Use Common Formulas, most timeless stories follow a predictable pattern, they can be summed up pretty easily, by understanding this formula, you can recreate it in your ads. In the world of online advertising, you are competing for a few seconds of attention, the classic story formula will make your ad easy to understand in those few seconds. Act 3 – A key decision is made, a “new way” of looking at things is adopted, the “Hero” faces their fears and live happily ever after. It focuses on conflict and resolution. The conflict keeps us interested, and the resolution gives a sense of relief at the end. When using this structure in your ads, the audience needs to identify with the hero and the “new way of looking at things” (your product) which shows up in the end. I would suggest a slight variation. Move act 3 in front of act 2, by doing this, you allow the audience to have the positive emotions of their problems being solved. Use Carousel Ads To Create A Narrative, a carousel ad feature is an excellent tool for telling stories. The purpose of an ad is to get people to engage, even the simple act of scrolling from one image to the next is engagement, increasing your chances that they will make another action. Create some creative that tell a story, use the three-act method mentioned above. The first steps up the problem, or the desire, then the images after that build suspense or show the desire being fulfilled. Include A Hero And Desire, your story needs to be relatable, a “Hero”, group, idea cause or company can be relatable. The purpose is to give the audience perspective, to see the problem with the “Hero’s” eyes and feel the emotions. Then you guide them through the story to the solution. Carefully manage what the audience knows, and what they don’t know. By leaving out key details you can control the questions the audience asks and what directs their attention. A popular version of this tactic is the headline “You’ll never guess what happened next!” it inspires curiosity in your audience. Curiosity is hard to resist. Storytelling is one of the most powerful tools a marketer has at their disposal. Stories connect to our emotions, and emotions drive our decisions. Keep the audience guessing with hints about what happens next. Dedicated landing pages will drastically increase conversion rates they are stand-alone web pages that traffic arrives on after clicking on your Facebook ad. It is not the homepage! It is not just another page on your website! Landing pages are tightly focused on the sole purpose of driving a conversion, campaign-specific landing pages do not waste time with information overload or promotional material. They very specifically say…This is the product, and this is where you have to click to get it, your landing page needs to contain as little distractions as possible! The rest of your web pages can have the designs and colors but your landing page is meant business and is focused on getting those conversions. They make the whole process of converting as simple as possible visitors from your Facebook ads will not spend a lot of time and effort trying to find out where to sign up or buy the product. You need to show them very simply. Click here. Subscribe Here etc. Landing pages are highly targeted, designed with your target audience in mind, they are unique in design and highly customized the audience should find the landing page extremely relevant! The audience should also feel appreciated for visiting your landing page show some gratitude! Landing pages are important because of how drastically they will increase conversion rates, a well-designed landing page will deliver exactly what the visitor expects. Message Match – The landing page matches the message of the ad that was clicked on, so that it delivers exactly what was promised. Optimized Conversion Ratio – A good landing page conversion ratio is 1:1. Meaning that here is only one call to action. Every ad campaign should have a dedicated landing page when a conversion is a goal, all paid ads must send traffic to the dedicated landing page. The basic anatomy of a dedicated landing page is this. A high quality dedicated landing page can be the difference between a successful online campaign and failure. A few tips on what NOT to do with your dedicated landing page! Missing The Call To Action Button – Make sure it is clear and visible. The simpler it is for the visitor to buy, the more often you will get conversions. Failure To Split Test – there is no one solution when it comes to landing pages. Test different versions, update and then test some more! Failure To Establish Credibility – Everyone is wary of online marketing scams, make yourself sound credible! Split testing, otherwise known as A/B testing is a tactic you should use to know which headlines, body, copy, images, call to actions or a different combination of these works best for your audience. You can also split test with different Facebook audiences and ad placements, usually, a split test is published for a few weeks this way to information of the test comes in and advertisers can make a conclusion regarding the results. 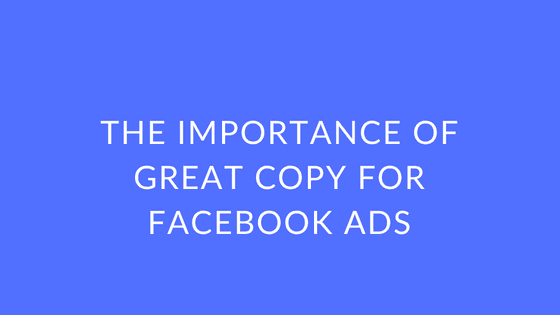 Unless you’ve already gathered a lot of information from Facebook ad campaigns it will be difficult to know what design will work best for you or which demographic audience will be more likely to buy your product. This is where split testing comes in, you can quickly test multiple ads’ designs and target audiences to find the best one. Watch out for a rookie mistake! Creating a Split Test with too many changing variables! How will you know which is the working variable and which isn’t? Let’s say you want to test 3 ad images, 3 headlines, and 3 main copies. This makes 27 different Facebook ads. Tests can quickly become overwhelming! There are 5 rules of Split testing Facebook ads. It is tempting to test EVERYTHING at once, but the fewer ad variables you have, the quicker you’ll get relevant test results. It will also make it easier to track and evaluate the results. When testing multiple Facebook ad designs or other elements, you have two options for the structure. Multiple single variation ad sets are the best option. Facebook will auto optimize the ads when they are in one ad set, and you won’t get relevant results. The more ad variations you are testing, the more impressions and conversions you will need. To get valid Split test results, you need at least 100 conversions per each ad variation! The suggestion is to not go overboard it is fruitless to create hundreds of experiments in a single campaign unless you have thousands of dollars in the budget! When searching for split testing ideas think, which elements could bring the highest CTR and conversion rates? Your testing capabilities will be limited by time and funding, you could even set up a prioritization table…this will help you to decide which elements you’re going to test first. Stick to clean, simple sentences. It doesn’t need to be complicated.